Yoga can enhance the physical and emotional well being and when yoga is practiced with a therapeutic intention in the form of yoga therapy, it can help prevent and aid recovery from physical and mental ailments. Yoga transforms both body and mind. The applications of yoga therapy range anywhere from maintaining health, to recovering from illness – in some cases, even those considered incurable. The first stage of healing involves the movement of vital forces in the system as every illness involves a certain level of energy blockage. By promoting the flow of prana, or vital force, yoga combats those blockages, restoring to basic condition of the health. Common applications for yoga therapy also serve structural problems such as spinal misalignments of joint function. Deeper applications may even serve intractable problems such as AIDS and cancer. 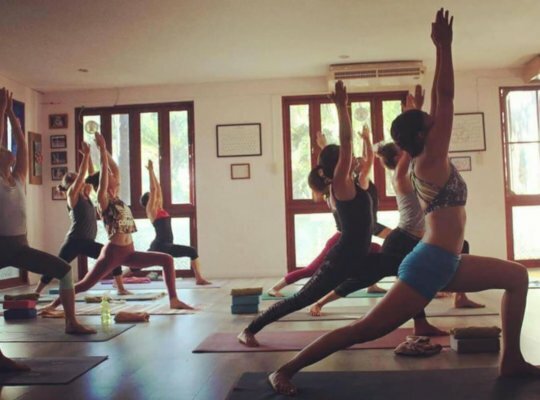 By combining different techniques such as stretching, body cleansing, message or alterations of the circulatory patterns, yoga promotes specific changes in muscles, joints and organs altering the vital functions of the body. 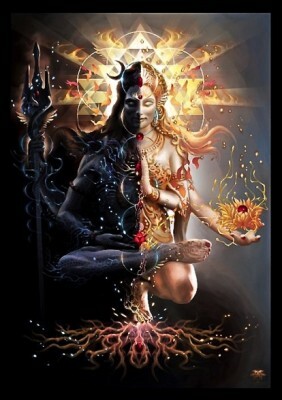 On a psychological level, the introspection promoted by yoga is essential to the self-knowledge process that fuels psychic transformation. The different relaxation techniques allow the troubled mind to calm and decrease its activity while promoting stability. The list of diseases cured by yoga therapy is huge. Treatment methods used in yoga therapy differ from medicamental methods as yoga therapy brings all body in balance, works with the reason of the problem and resolving it while just using medicine to relieve temporary sindroms will not cure the disease itself but just gives the illusion of well being. At the same time we teach you yoga therapy techniques which you can use back home to keep yourself healthy, using your own resources rather than contributing to pharmacies. Cancer can start only in acidic environment. Only alkaline water can stop effect of acidic diet, purify the toxins and prevent appearance of cancer cells and other diseases. 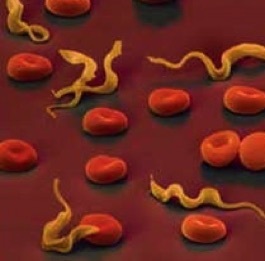 As per medical researches around 95% of people have parasites. Parasites use a lot of nutrients, minerals, vitamins and microelements and at the same time they poison the body by their waste products. Parasites decrease the ability of immune system, slowing down functioning of the body and use it as a source of food. The weight of parasites can come up to 1,5-2 kg and leads to a number of health issues. Human blood pH should be slightly alkaline. An acidic pH can occur from an acid forming diet which leads to tophus, stones in organs and decreasing the work of cells and organs as they can function properly only in alkaline environment. Many health problems such as allergy, rhinitis, diabetes, arthritis, arthrosis, obesity, early aging process etc. start from acidic diet. Common symptoms of parasite presence are: constipation, low energy, low immunitet, high arterial pressure, head spinning, short temper, loss or gaining weight, diarrhea, starving sensation, under eye circles, bad mouth smell; children can experience mental and physical developmental disorder, sexual maturation problems and memory defects. These treatment stages described above embrace the full range of health problems bringing in balance all areas of human organization. Following the treatment plan consistently one gets the best result of purification and healing the entire entity. Along with deep cleansing procedures one is provided with a programme of techniques, based on individual characteristics and reactions on treatments. We use only natural ingredients for our treatment plan and we teach to use the healing techniques for further practice back home. To be able to keep the result and develop the health and beauty one needs to organize lifestyle back home accordingly and we support in developing the self-discipline, motivation and establishing a solid yoga practice. 100% of intention to change is most important, we are happy to teach and help to implement the ancient yoga transformative knowledge and practice but one needs to follow the initial intention to improve and manifest the strength and dedication. The reason of major health problems is intoxication. We get toxins from food and from poisons manufactured within the body system which come from putrefaction and zymosis of food in intestine. Wrong choice food, destroyed fibre food can not move smoothly within intestine and create blockages and fecalomas, they stuck in intestine and their quantity is increasing with years poisoning the body from inside. By 50 years old one might have from 5 to 10 kg of fecalomas and of course it effects on health a lot. The booking will be confirmed after the deposit received.